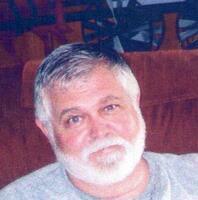 Provide comfort for the family of William Williams with a meaningful gesture of sympathy. William Brooks Williams, II, 71, of Jane Lew passed away Wednesday, January 16, 2019 in Wakefield, KS following a brief illness. He was born in Weston on July 11, 1947: son of the William Brooks Williams and Marzee Elizabeth (Linger) Williams. On November 10, 2003, he married Donna Jean (Carpenter) Williams, who survives. Mr. Williams was retired from Dominion Transmission with building maintenance. He also enjoyed working with his son at Williams Lawn Services. He was a graduate of Lewis County High School with the class of 1966. His hobbies included collecting knives and when he was younger he rode show horses. Bill loved fast cars and some family said vehicles in general but others said anything with a motor. He will be missed by family and friends. Family and friends will be received at the Hardman-Paletti Funeral Home 730 N. Main Avenue Weston on Thursday, January 24, 2019 from 11:00 a.m. until 1 p.m. Funeral services will be held on Thursday at 1:00 p.m. from the Hardman-Paletti Funeral Home chapel with Interment will follow services in the Weston Masonic Cemetery. On-line condolences and life stories in memory of Bill may be expressed at hardman-palettifuneralhome.com. Hardman-Paletti Funeral Home of Weston is honored and privileged to serve the family of William Brooks Williams, II. To send flowers in memory of William Brooks Williams II, please visit our Heartfelt Sympathies Store. The Watson family sent flowers to the family of William Brooks Williams II. "Bucky" RIP dear friend.Memories of our early childhood are forever etched in my heart.My deepest sympathy to your loving family. We are so sorry for your loss. Please convey our loving thoughts and prayers to you and your family in this time of reflection and remembrance. 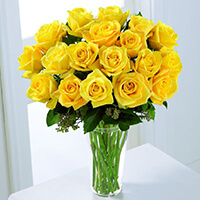 The Watson family purchased the The FTD Yellow Rose Bouquet for the family of William Williams. Donna and family I am do sorry for your loss. Please know you are in my prayers . He was always good to me and my girls and the two of you we were so sweet together.